Place a confetti or snow effect over your webshop. Create the right atmosphere for the moment. The ultimate experience in your webshop. 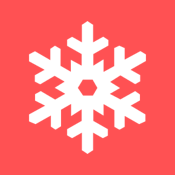 With Happy holidays, your customer experiences a unique atmosphere in your webshop. You adjust the effect per season, and ensure a unique seasonal experience. Step 4: Choose whether you want the effect on the homepage or the entire webshop. Step 5: Save your configuration. Happy Holidays takes care of the rest. It takes about 5 minutes before the effect appears in your webshop.